In light of the much-needed flurry of transfer activity Owen Coyle has orchestrated in recent days, we thought we’d re-visit a special feature approach and ask more informed writers about who exactly the club is signing. 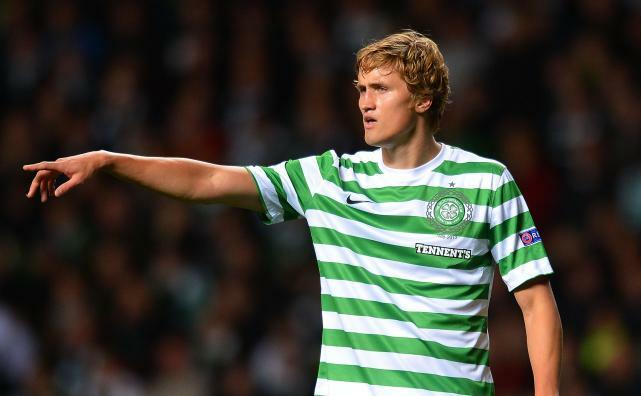 Twenty-three year-old Norweigan centre-back Thomas Rogne became the third free transfer in less than a week to join the club after some promising, but injury-strewn years at Celtic. He joins former teammates Shaun Maloney and Gary Caldwell in the Wigan locker room and has hopefully spent enough time in Scotland to understand what James McArthur, Stephen Crainey are on about as well. In an effort to learn more about his Celtic years and the circumstances under which he is joining our club, we reached out to the writers of Celtic blog, Lost Bhoys, who helped us with a similar request when Shaun Maloney signed for us two years ago. Their take on the little Scot has proven thoroughly accurate — if he could regain fitness and sharpness, they wrote, he would go on to be a hit. After a six to eight month period of adaptation and fitness work in his first season, Maloney’s impact has been spectacular. Lets hope the arrival of another ex-Celtic player can help keep him at the club. Hail Hail to Ned and all the Wigan supporters who Los Three Amigos website. Ned had asked David Harper to produce a piece on Thomas Rogne after he did something similar when Shaun Maloney joined Wigan back in August 2011. Unfortunately, Harper was unavailable so he asked me if I would pick this up which I was more than happy to do.